52 Quilts in 52 Weeks: Finally a Friday Finish! I've been on an extended trip to Texas, so the Friday Finishes have been thin on the ground. 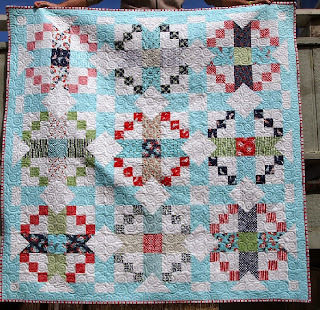 The pattern is "True North" by Peta Peace of She Quilts Alot. The fabric is Daysail from Bonnie & Camille. I love the "waves" that Vivian quilted on it! 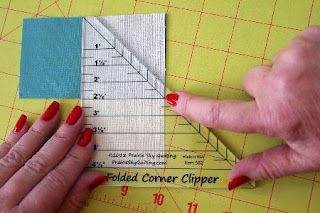 I used my Folded Corner Clipper to make the folded triangles in each block. I noticed Ruth's Stitchery has re-stocked this favorite tool. If you're planning a quilt with these triangles, do yourself a favor and order one! Tomorrow is a trunk show by Jen Kingwell at Mama Said Sew in Ft. Collins. 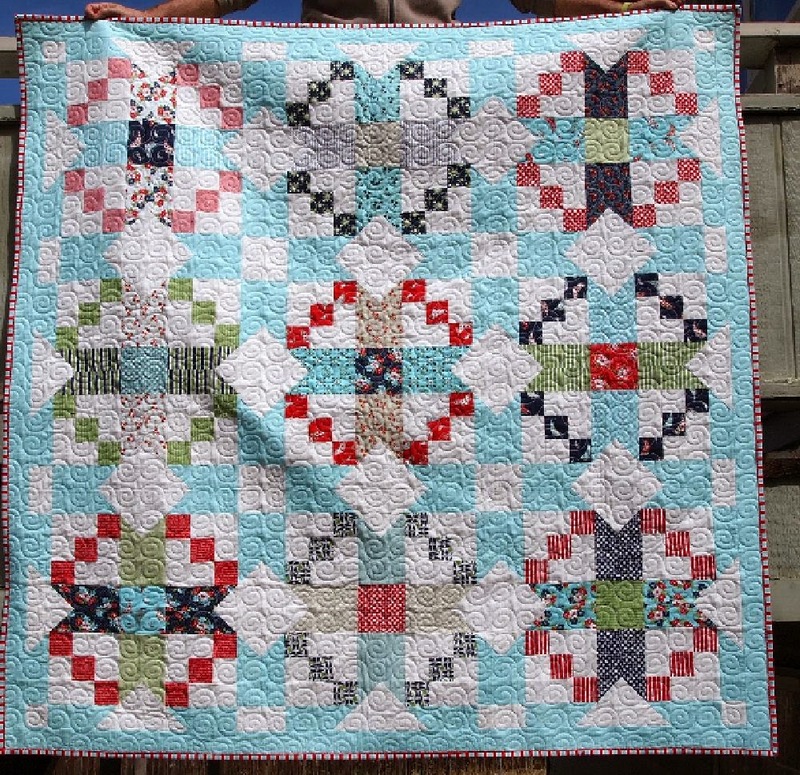 I can't wait to see her gorgeous quilts in person! Lovely quilt, the colors are fabulous!!! bet you enjoyed Jen Kingwell - how lucky to see her work in person!